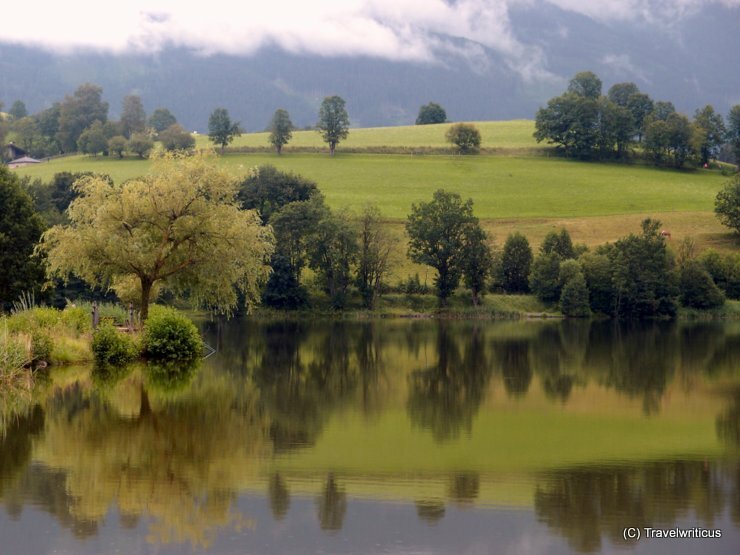 On my way to the museum of local history at Schloss Ritzen I came across this lovely lake named Ritzensee. 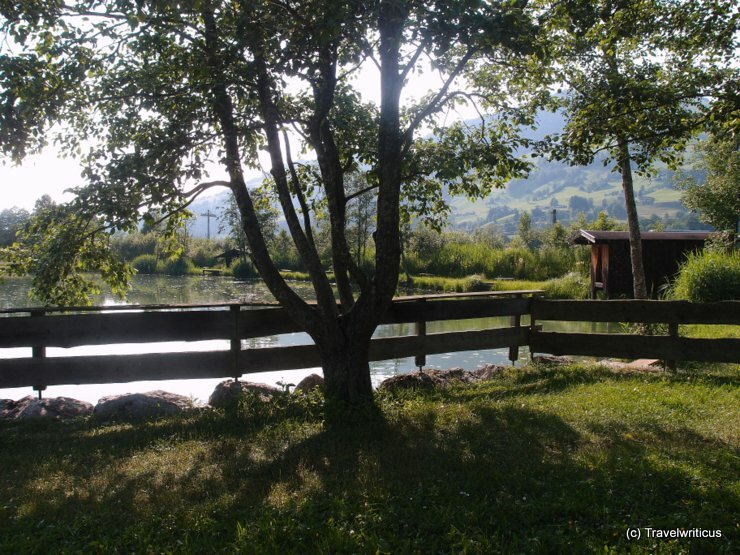 It is an artificial lake build in a moory landscape. Wallersee Lake on a cold winter day. 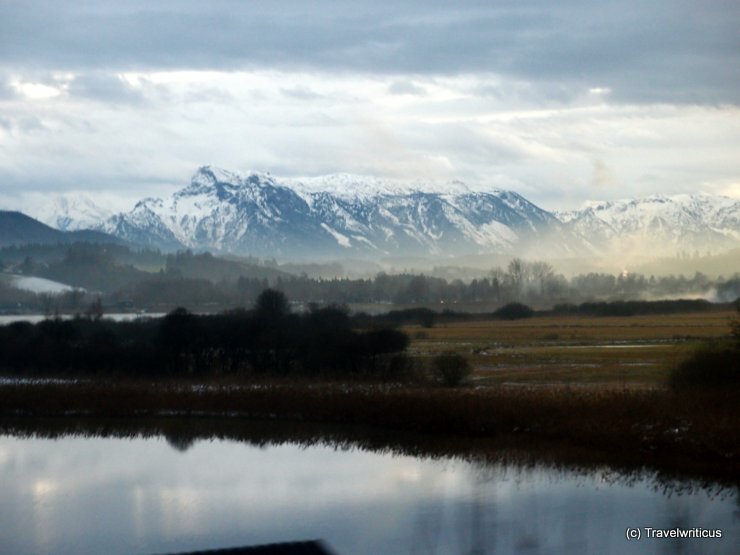 This photo was taken on train journey from Linz to Salzburg. 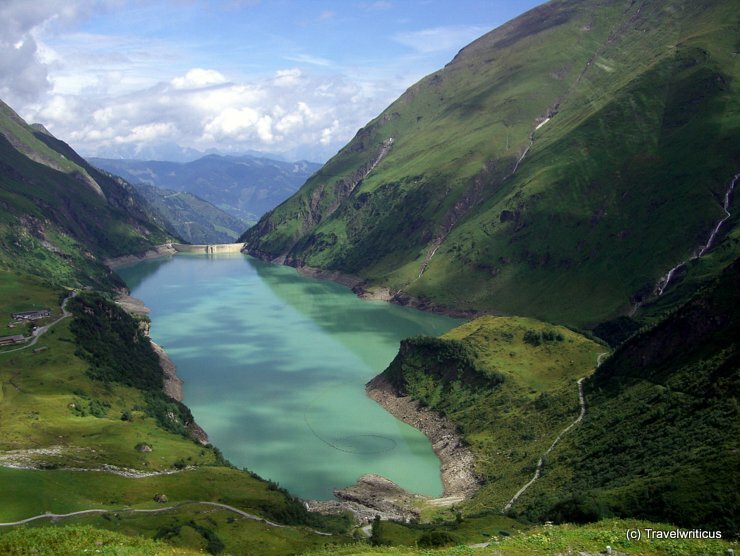 On the way back from the Moosersperre dam, down to Kaprun I took this photo of the Wasserfallboden reservoir through the windows of my bus. 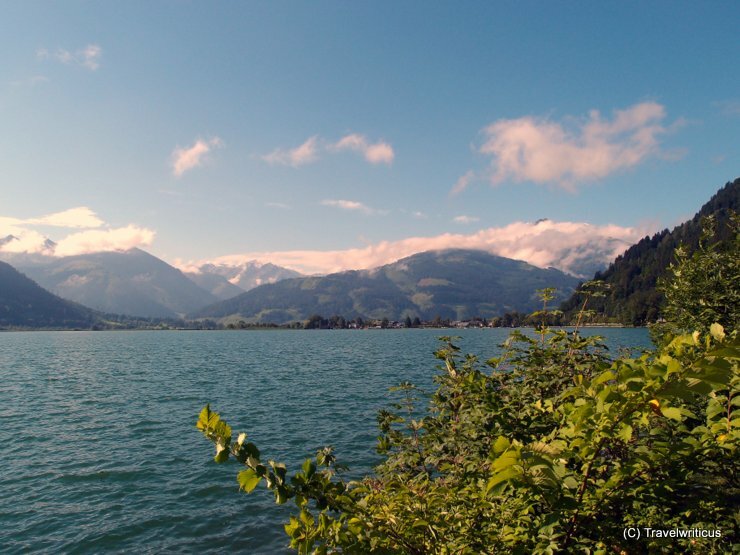 After leaving Salzkammergut Railway at station Ebensee – Landungsplatz I had this great view of the Traun Lake (Traunsee). 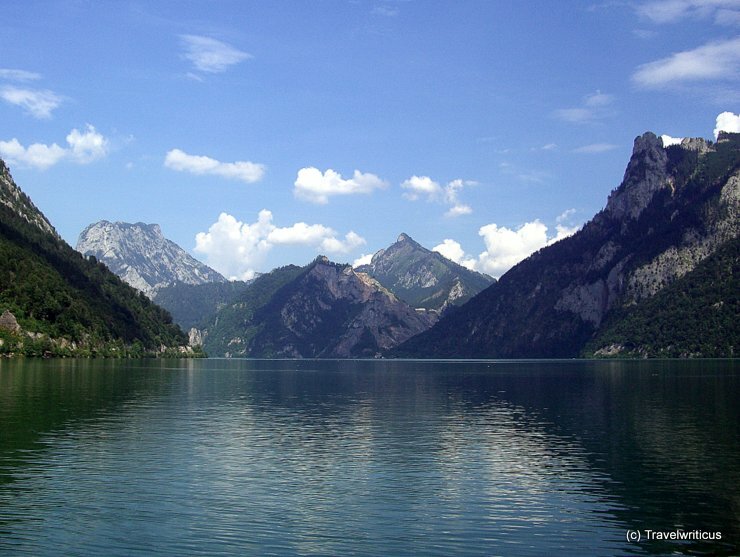 The Traunsee is the deepest lake of Austria (191 metres) and offers lovely views of high mountains and an old castle set on a tiny island (Seeschloss Ort).